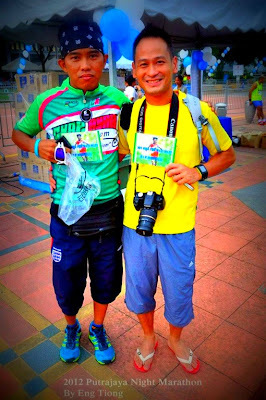 It was supposed to be slow run for me after completing 100km last week at The North Face Singapore. Plus i was requested by a friend to pace him for his sub-5 Marathon timing. 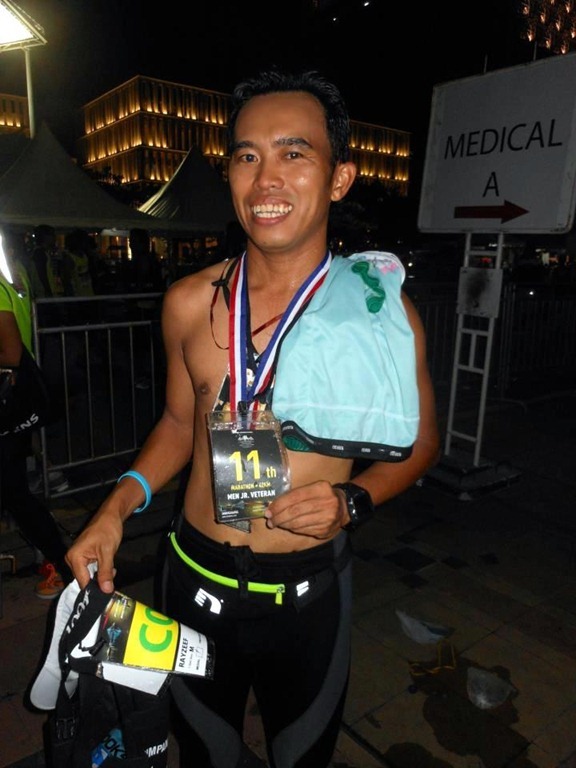 At the eleventh hour, he had to abandon the PNM due to a family emergency. 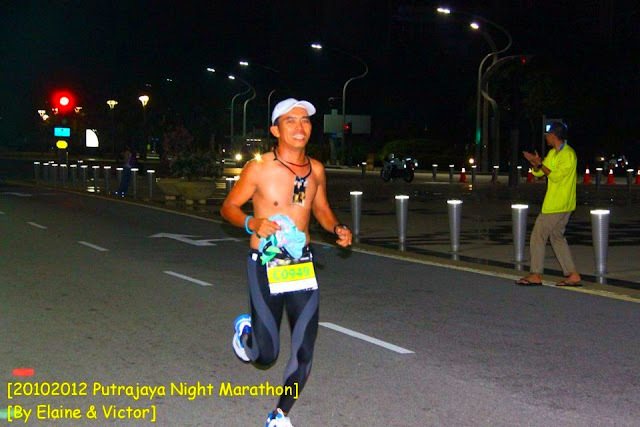 That left me with nothing to aim for at PNM, just a simple finish for my 19th Marathon would be sufficient. 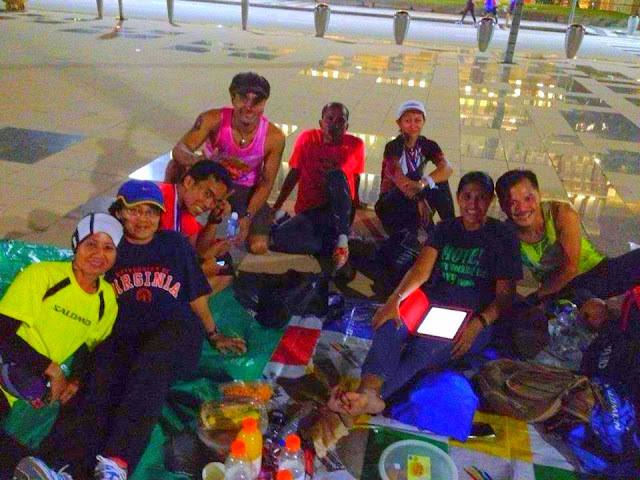 I was told that FM runners amounted to about 700 runners that night and at 8:00 pm exactly, we’re gunned off. The weather was very humid when we started, the signs were all there for a raining running fest, but it was a typical Putrajaya weather at the end - it was tough, high humidity night race after all. I started slow and maintained a happy pace, but somehow i got dragged pacing with faster runners. The first 10km went by smoothly, I was shocked to see my Garmin watch – 53:31 (faster than my 10km at Berlin). Mark Williams and Shahruddin ran the Half Marathon, came and overtook me after the water station just before they turn left into Lebuh Perdana Barat. After 17km, i saw a familiar figure…walking! It was the Sarongman Yim – he was having a bad race, said hi and wish him well before moving on. Putrajaya route is full of rolling hills, which i used to my full advantage by using short stride fast cadence running style. I overtook many runners at ascending hills. 20km done in 1:49, soon broke sub-2 HM in 1:56. I was quite surprised that I could maintained this pace considering the awful weather and still recovering from the 100km that I did the previous week. Water station was great, with the options of 100plus and mineral water. I washed my face and wet and my hair at every water stations, my rituals to maintain low core temperature. Another Powergel gone after 21km. 30km completed in 2:47, after the u-turn around 31km, I could feel that I was getting slower and weaker. Dang! The 100km trails done last week came to haunt me! Legs felt soft now, i had to dig deep to maintained these last 10km or so. I hope i don’t puke out the Powergel I had consumed as I did last week at TNF SG, I have a low tolerance of Powergels, 5 is my limits! Thankfully the 3rd Powergel didn’t upset my body system. There are more hills at the last 10km. Dang! The hills after 37km at Wadi Ehsan Highway killed me! I could feel I was getting slower. Turning into Lebuh Bistari, one could see many HM runners were walking like zombies. I saw Zul Hassan and gave him a pat at the back, he was pacing someone for the HM. At the final water station at Lebuh Saujana before turning into Persiaran Perdana, i decided to take longer break and let the slower runners ran past me. The final stretch I was running slowly coz I want to enjoy these finishing moments. I could see a lot of supporters on both side of the road towards the finish line. It was loud and festive, many were shouting encouragements to runners about to cross the finish line. 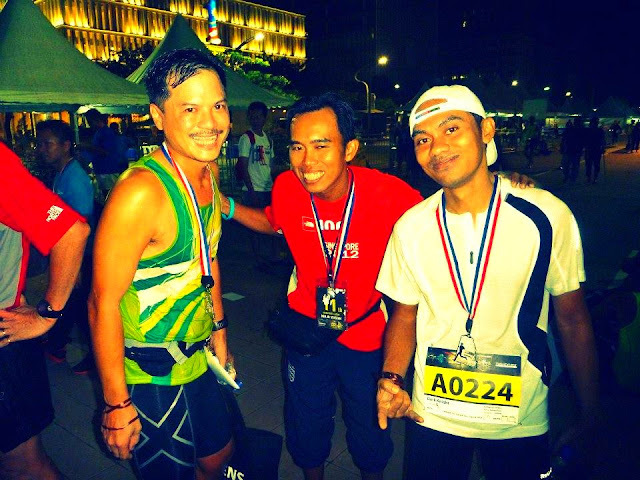 I finally crossed the finish line with the time of 4:06...wootz that was a very tall order after 100km TNF hell last week. The volunteers dutifully loop my medal after that, then another girl loop another medal. I went like eh? Surprisingly found out that the first medal was actually a placing number. I got number #11 placing in Jr. Veteran Men Category plus RM50 prize money. Hell !! I could take on a 100km run any time instead of 42 km at Putrajaya. Met many friends, old and new, it was great event.The organization was excellent, kudos to Hooha, water was a plenty, security for runners was good overall. Waited until they announced my name in the list of winner in the Jr. Veteran Men Category before i left home for much deserved R&R, that made my night. It was priceless! *Pics credit on the photos. Wow, this is VERY impressive. You're great rayzeef. 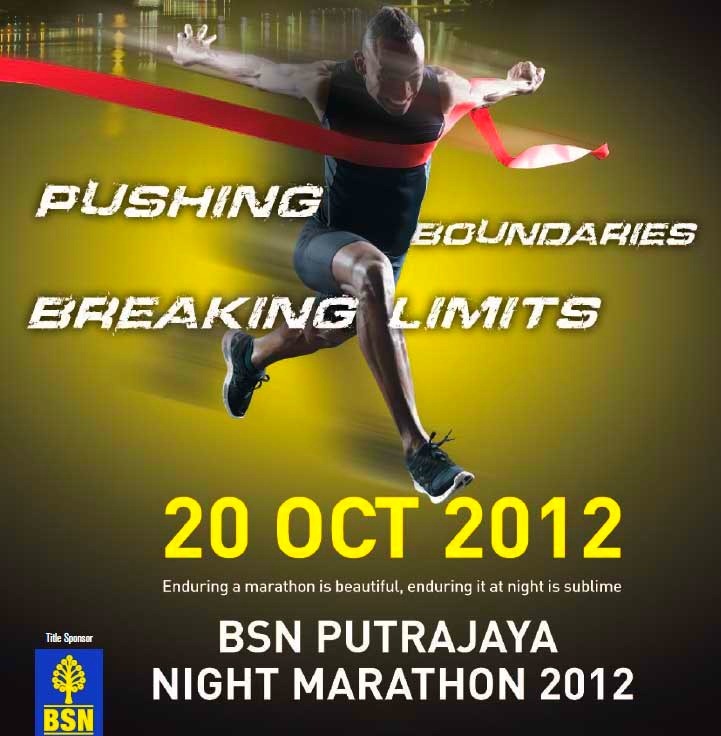 I'm contemplating doing the bsnpnm for 2014, but worry about the late starting time at 8pm (which means I'll end at 1am).